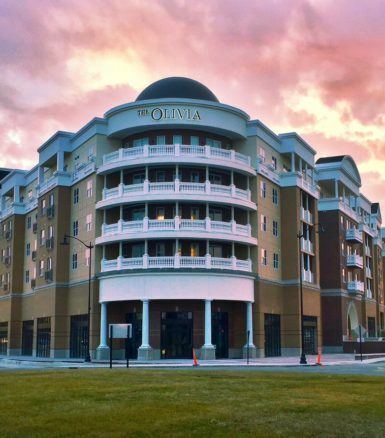 The Olivia on Main Luxury Residences & Shoppes is located at the corner of Main and Old Meridian Streets in Carmel, Indiana. It boasts approximately 17,000 s.f. of ground floor prime retail and restaurant space, 203 luxury apartments, and a luxury amenities center. Retail tenants include Noire Nails, Bar Louie, and Verde. Learn about Keystone Realty Group’s other mixed-use projects on our portfolio page.